IntelliSeeds is the Web's most comprehensive math practice site. 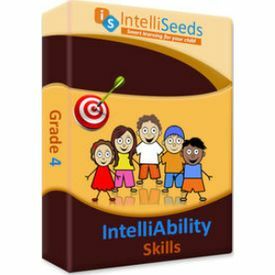 Popular among educators and families, IntelliSeeds provides over 40,000 questions in more than 1200 skills and topics. 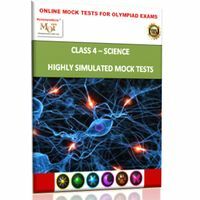 IntelliSeeds also uses a combination of speed (time-bound) and practice tests. It is an adaptive learning system that incorporates features of games and rewards, thereby inspiring students to achieve. As soon as your child completes a test, the system will send an email to the parent or an educator with the performance assessment report. You can also access detailed reports and compare your child against a community average. Using it regularly will develop speed, confidence and self-esteem as well as better understanding of concepts. Most tests don't take more than 5-10 minutes and children are able to do it themselves. IntelliAbility Grade 4: Find your way through the maze of 1050+ reasoning based questions and help your reasoning skills know no bounds. 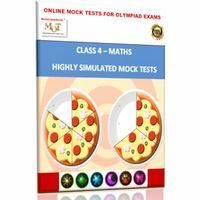 The practice assessments on various topics including puzzles, syllogisms, analogies, spatial reasoning help you gain a skill and the speed tests help you analyze your skill set. Instantaneous reports, rewards and stickers further fan your love for learning.